Article on Liam Mellows and his time in New York post-1916. While the Easter Rising had ended in defeat, Liam Mellows, the commander of the Galway rebels, succeeded in evading capture before landing in New York, December 1916. He found that, amongst Irish-America, "a great spirit prevailed at this time, especially among those of Irish descent. They were all very anxious to hear about the happenings of Easter Week." In this, Mellows was happy to oblige, speaking at meetings where he assured his audiences that Ireland, however bloodied, remained very much unbroken. His oratory, remembered one witness, "made you see things he had experienced, and dream the same great dreams." Ireland would fight again. But first, it needed weapons. Mellows and other '1916 exiles' attempted to obtain them from Germany, with the idea of having them landed in Ireland. But each scheme failed for one reason or another. Mellows also struggled with Clan na Gael, whose leader, the formidable John Devoy, had taken him under his wing upon arrival. The entry of the United States into World War I on the side of Britain forced Clan na Gael to tone down its usual revolutionary stance for fear of alienating American society. Mellows was disgusted at this, and was unafraid to say as much. A friend of his, Frank Robbins, counseled against offending Devoy but to no avail. "Sometimes I think the Irish have an inbuilt genius for disagreement and disunity," Robbins thought gloomily. Mellows eventually broke with Devoy for good, complaining of the "campaign of the most vile and conscious slander" against him. 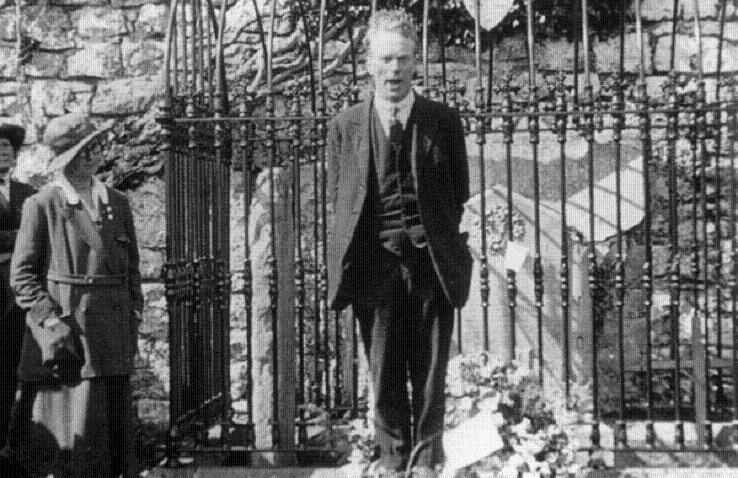 Deprived of his job at the Clan na Gael newspaper, Mellows suffered, being "subject to spells of despondency and was inclined to neglect himself," according to Robbins. With a new job teaching Irish at the Carmelite School in Manhattan’s East Side, and after some nursing from female friends, his health began to improve. All the while, his thoughts were of Ireland and his impatience to rejoin the fight. Believing he was wasting his time in the States, he made plans to return. But things, as he was to find, were never that simple. Last edited by Ascendant; 08-12-2018 at 22:27. The first three in the series, covering the before, during and after the Easter Rising in Galway.